Craig Fraser from Kal Koncepts/Air Syndicate, and Steve VanDemon from ACP join forces and head to Genoa, Italy to check out, and participate in the Airbrush Art show. Hosted by Juliano Rapetti's "Airbrush Art Magazine", Steve, and Craig spent the trip airbrushing, pinstriping, bodypainting, and trying not to cause international incidents. 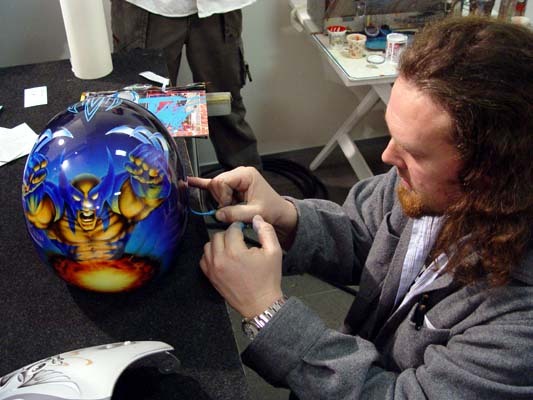 Blaster striping up a Wolverine helmet. Ettore is one of the top stripers in Europe, and is also in Craig's Pinstriping Masters Book. 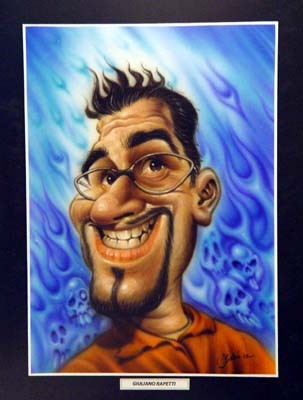 Without a current pic of JR,..we will just have to use his new passport photo. 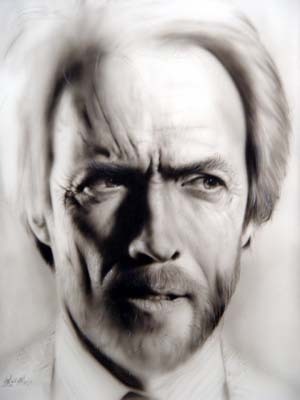 Georgio Uccilini had some killer potrait work on display,...as usual. 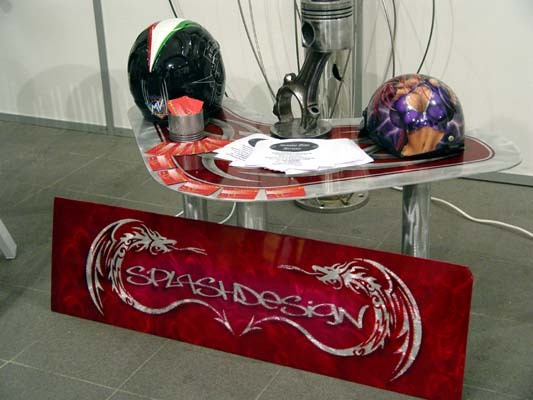 Paulo's kustom shop, "Splash Design" was in full force, as well as his, and Fluvio's bodypainting.